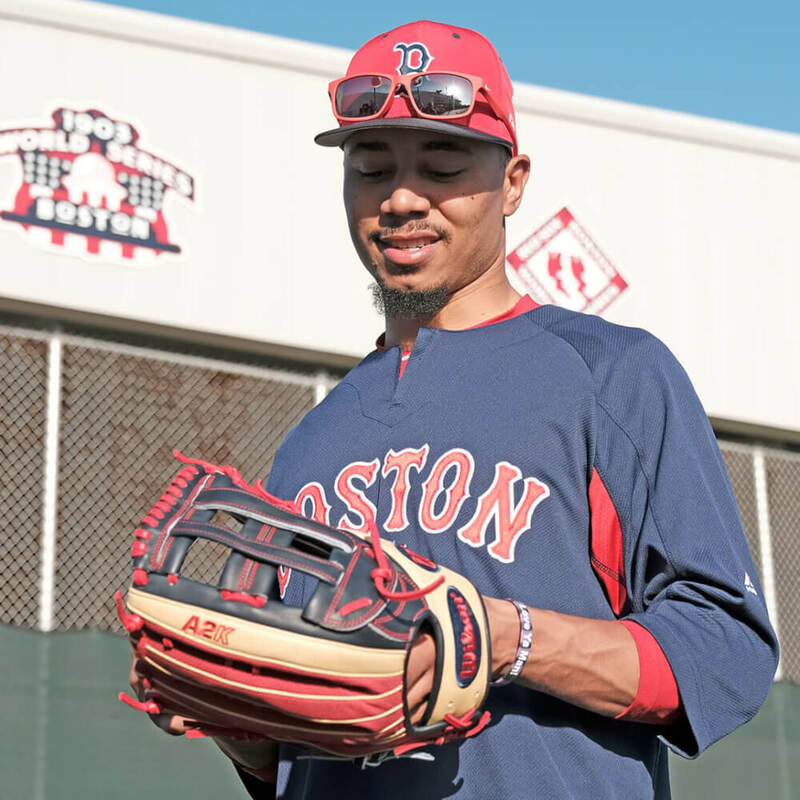 According to Mookie Betts on Wilson Glove Day 2018, he’s been wearing a Wilson A2K glove since high school. He added the mesh in 2016. 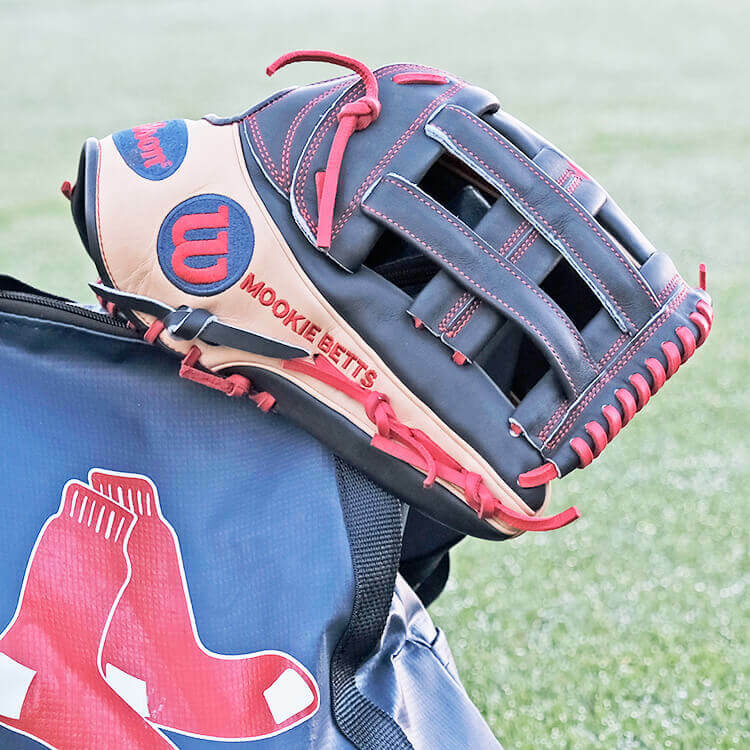 Here’s a link to a great YouTube video from last year where Mookie & Ryan Smith, Wilson Product Manager & Designer, describe the benefits of the MB50. Though most know Betts for being one of the game’s best hitters at just 25 years old, he’s also one of the best defenders in baseball. 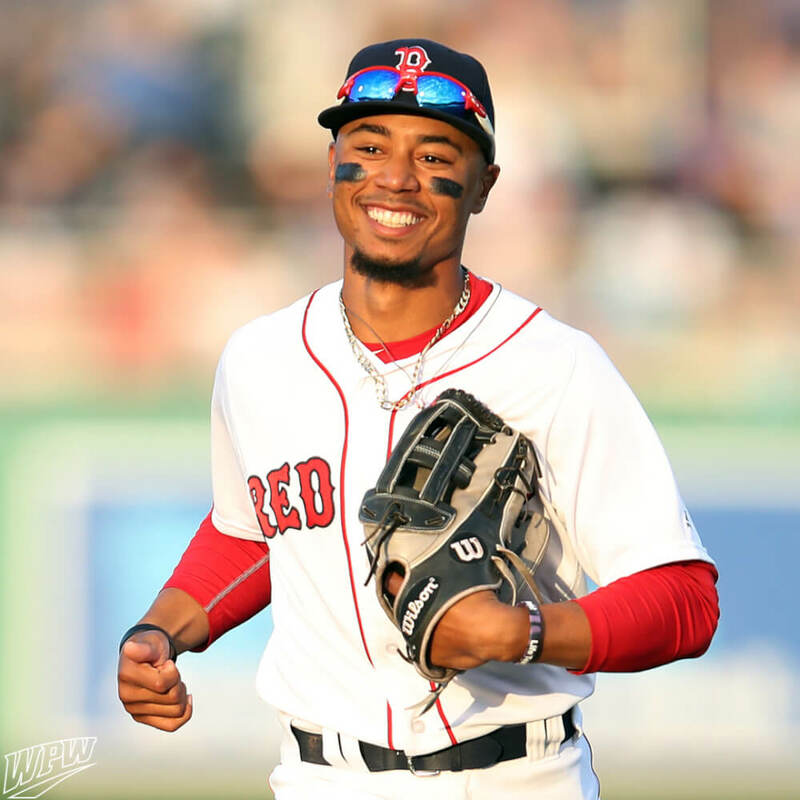 His glove is a 12.75″, and Betts prefers the length on his glove so he can “get to more stuff.” We assume he means baseballs. The 2018 colorway will release as a game model in August, but for now, we built the identical version of the 1799, available at the link. 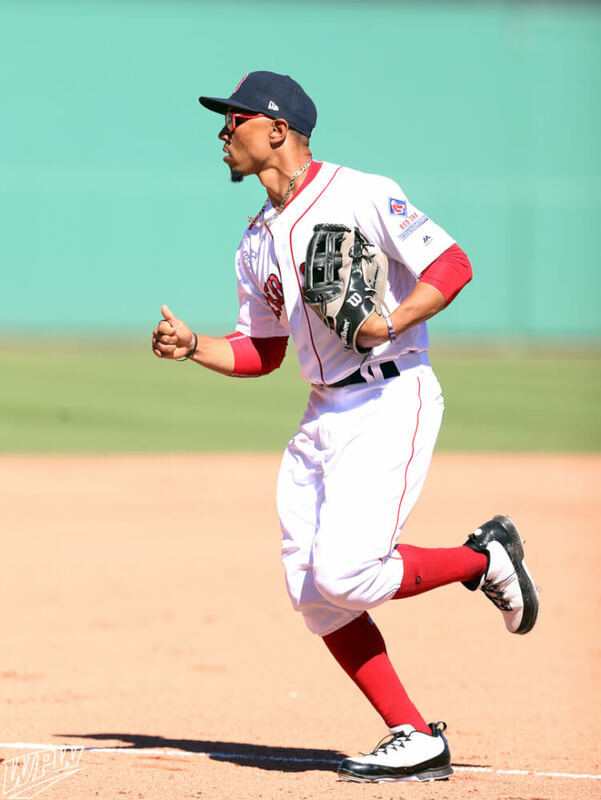 Categories: Mookie Betts, Gear, Outfield, Glove, Boston Red Sox.